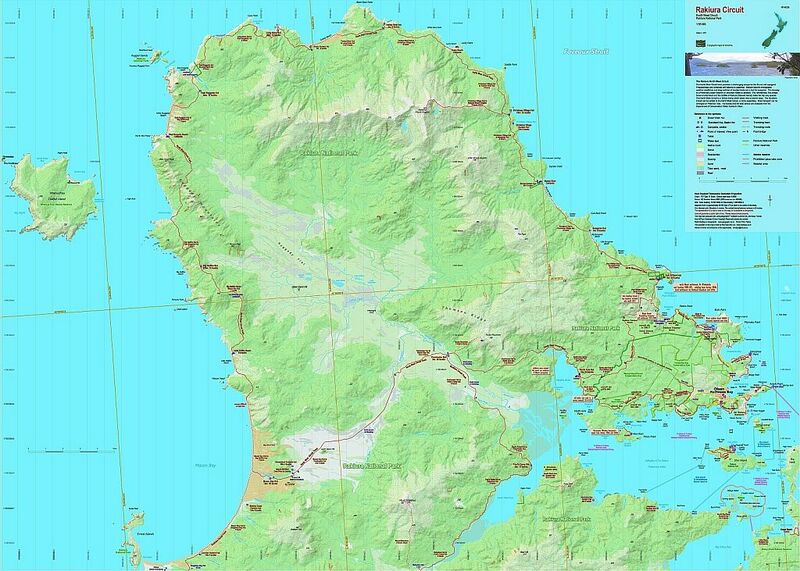 The North West Circuit on Rakiura Stewart Island is an increasingly popular trip for fit and experienced trampers. 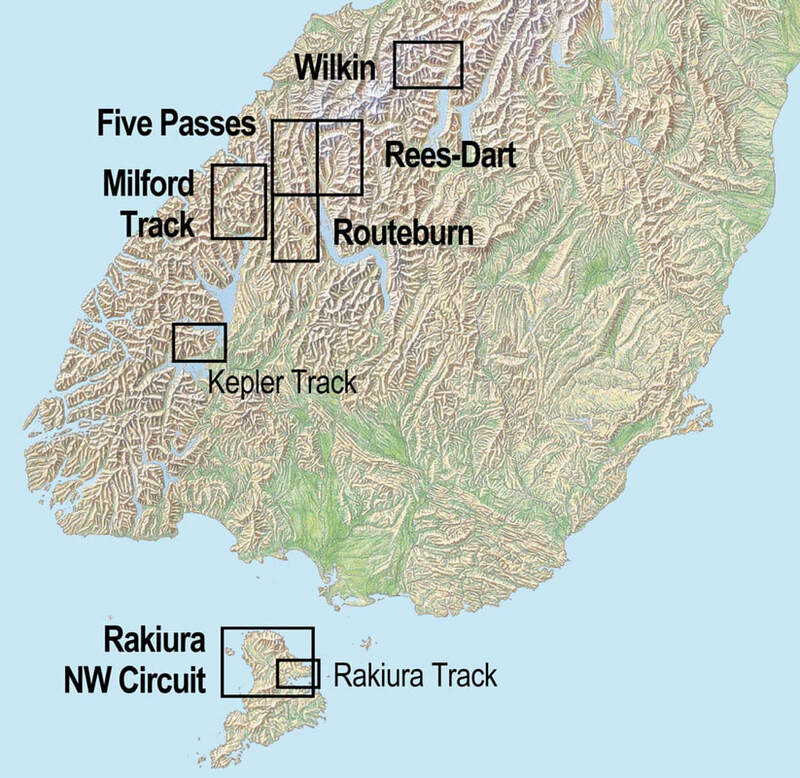 This map shows the full North West Circuit and the northern part of the Southern Circuit. The huts, tracks, and other useful information along the way, are shown on a fully-detailed topographic background.